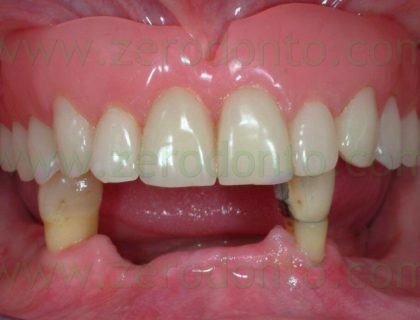 This report describes a case of a 28 year-old male patient who complained of aesthetic discomfort due to composite resin restorations in regions 11 and 21. They were fractured and structurally compromised too. 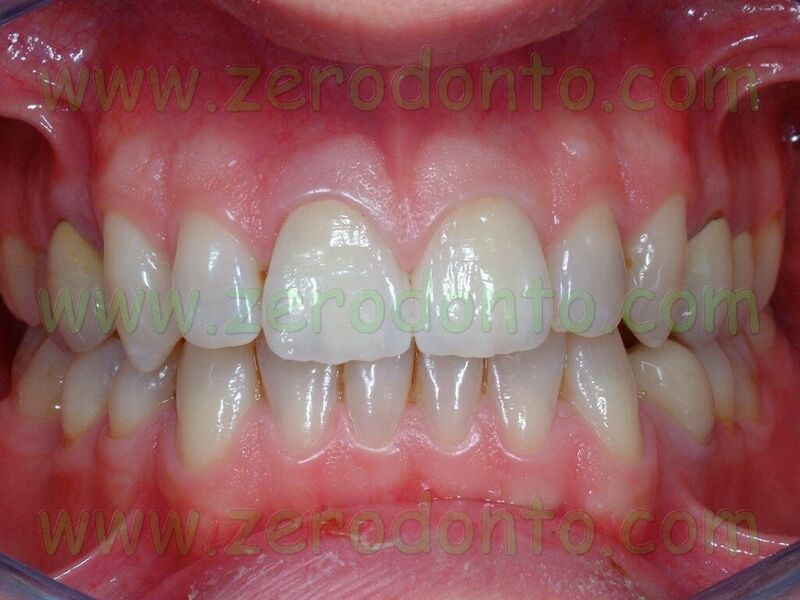 Furthermore, the patient felt abnormal occlusal contact during the movement of the mandibular protrusion. 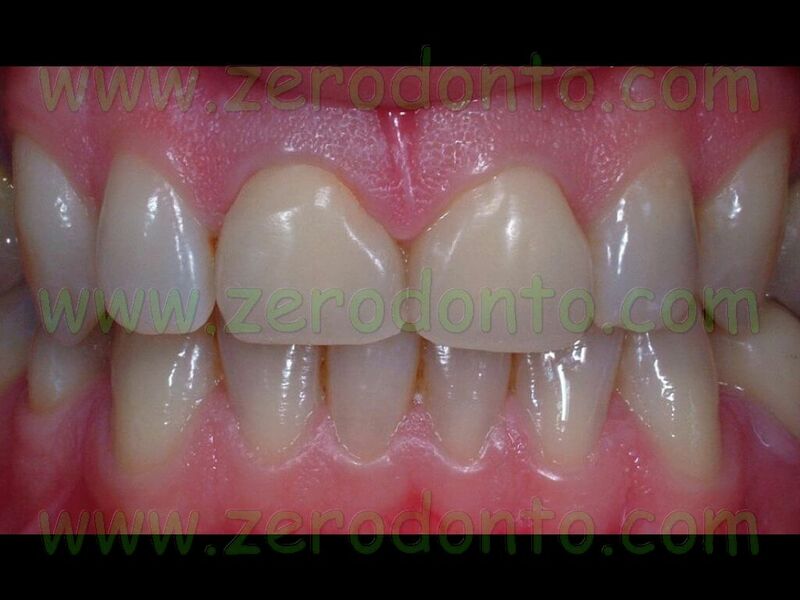 Radiographic examination through endoral radiography showed evidence of infiltration of restorations (Fig 1). 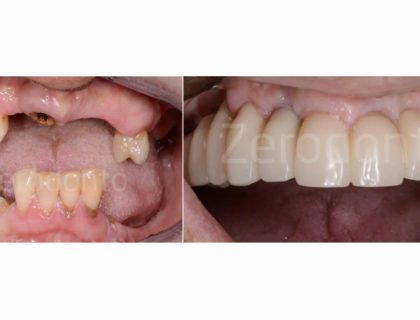 After discussing with the patient the various therapeutic treatments available for his clinical case, the approach chosen was to replace the previous restorations with 2 integral zirconia-based ceramic crowns made via CAD-CAM technology. 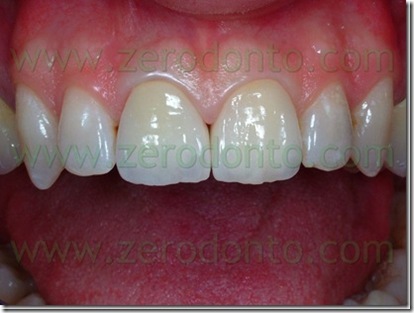 A periodontal therapy of support through scaling/root planning and prophylaxis procedures was carried out. 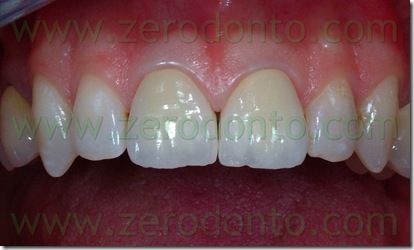 The previous composite restorations were removed and replaced. 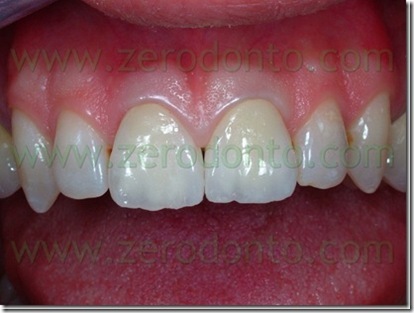 concerning the preparation for fixed dental prostheses. 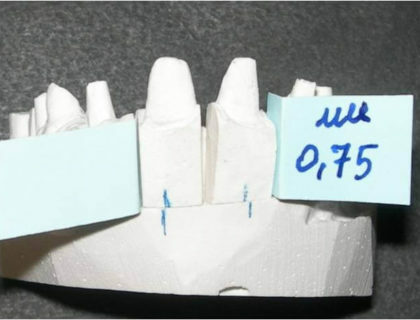 In the dental stumps a convergence of about 15° was performed (fig.2) according to the procedures for prosthetic preparations for integral ceramic restoration. 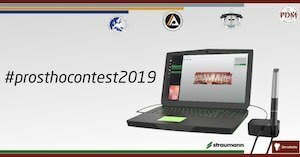 Literature justifies such indication by virtue of the CAD-CAM scan; the lesser retention with respect to the traditional prosthetic preparations for metal-ceramic crowns, is compensated by the mechanical and chemical composite adhesive resin cementation of the integral ceramics. 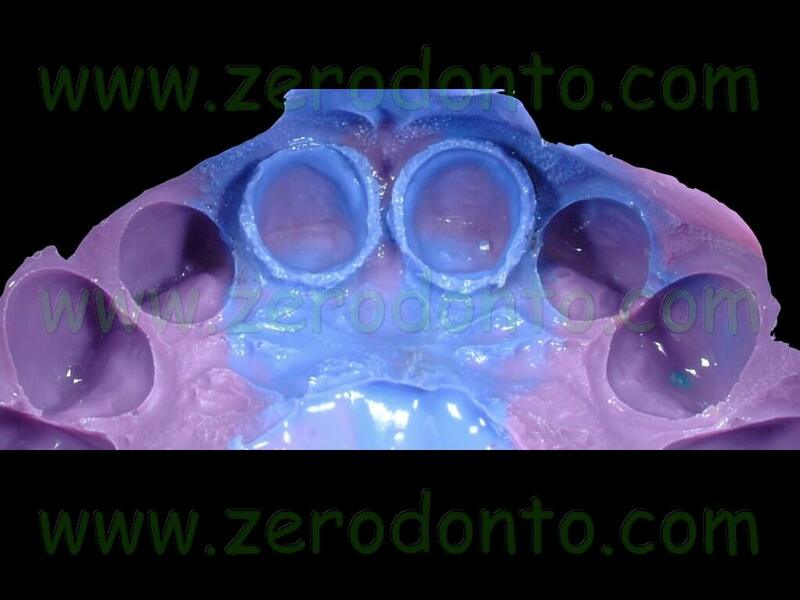 we proceeded to take a precise impression using an individual impression tray with self-polymerizing acrylic resin and medium and low viscosity polyether resin (fig.4). 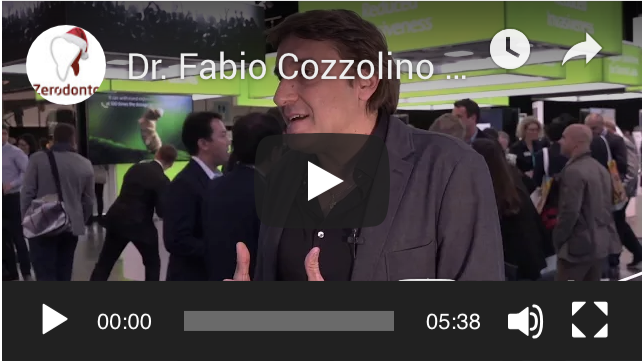 We decided to create two golden ceramic crowns purely for speculative purposes, in order to compare the aesthetic performance of the metal-free restoration with the metal dental prosthesis structures. 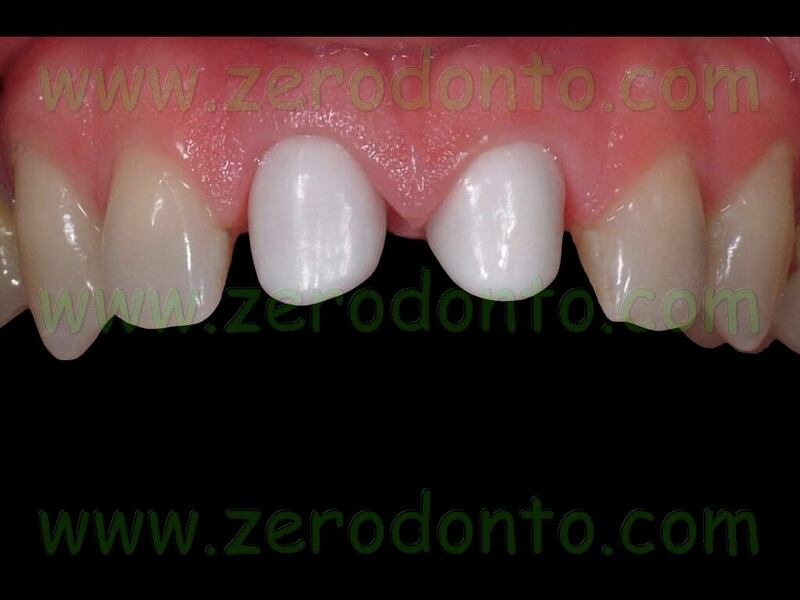 The aesthetic appearance of teeth by covering the entire visible surface of the tooth has been made using traditional ceramic feldspathic for the metal-ceramic restorations, and ceramic feldspathic for integral ceramics for the zirconia-ceramic crowns. 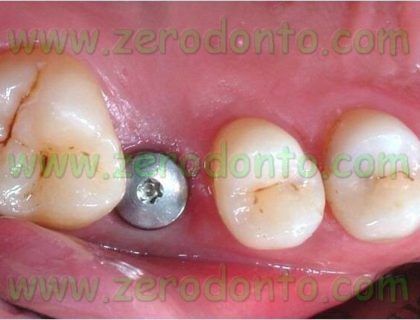 The latter is characterized by a coefficient of thermal expansion suited the coupling with the zirconia structure. 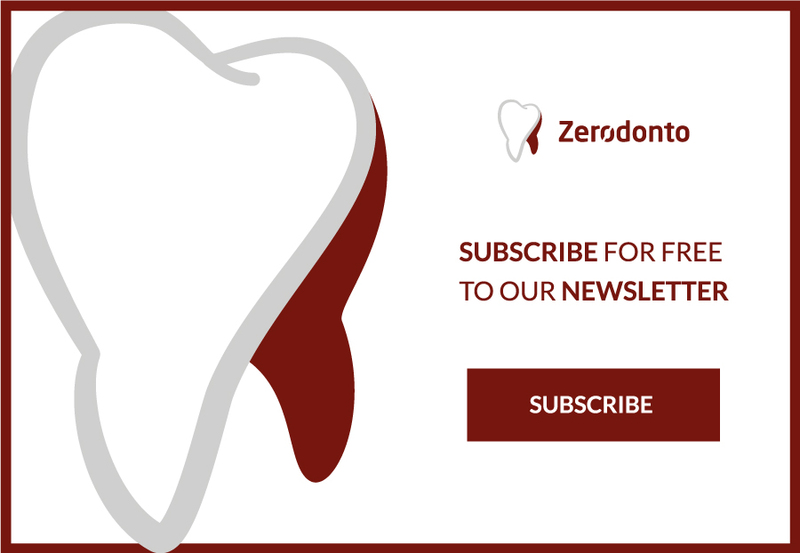 Some cited data in dental literature have reported the presence of a chemical bond, besides the mechanic one, between the covering ceramics and the zirconia structure. 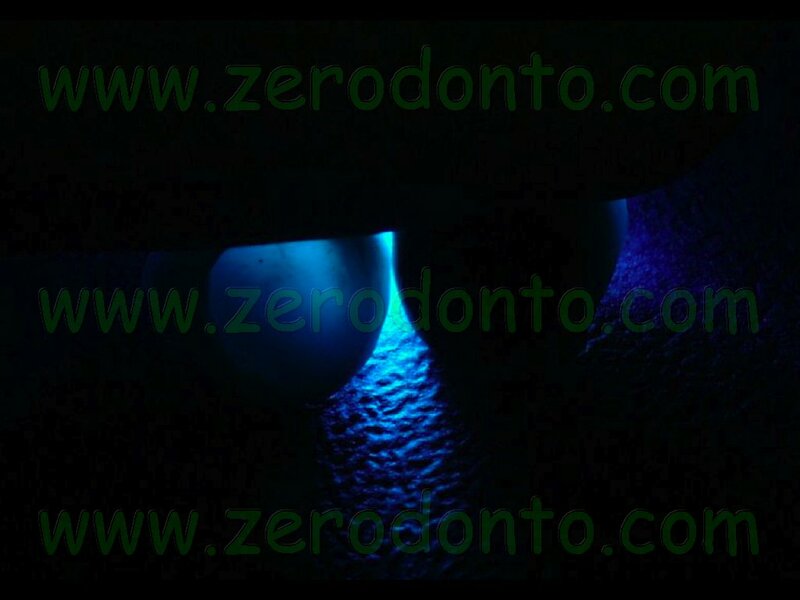 In order to highlight the different optical properties of the materials used, a transillumination test through a light irradiation apparatus for photopolymerization was performed. 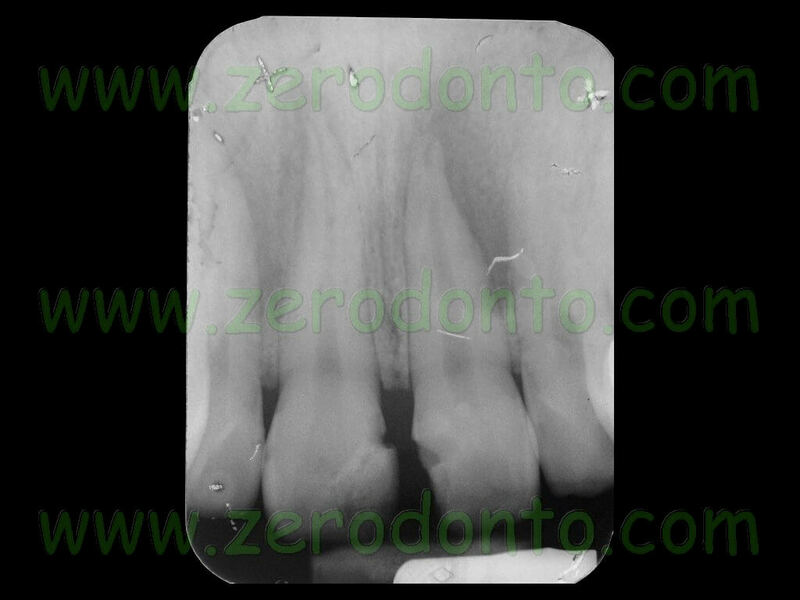 Both outside the oral cavity (fig.7) as well as on the dental stumps(fig.8). 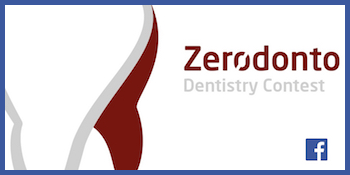 The zirconia structure restorations have shown a more than satisfactory light transmission in comparison with the strong opacity of the gold ceramic crowns. 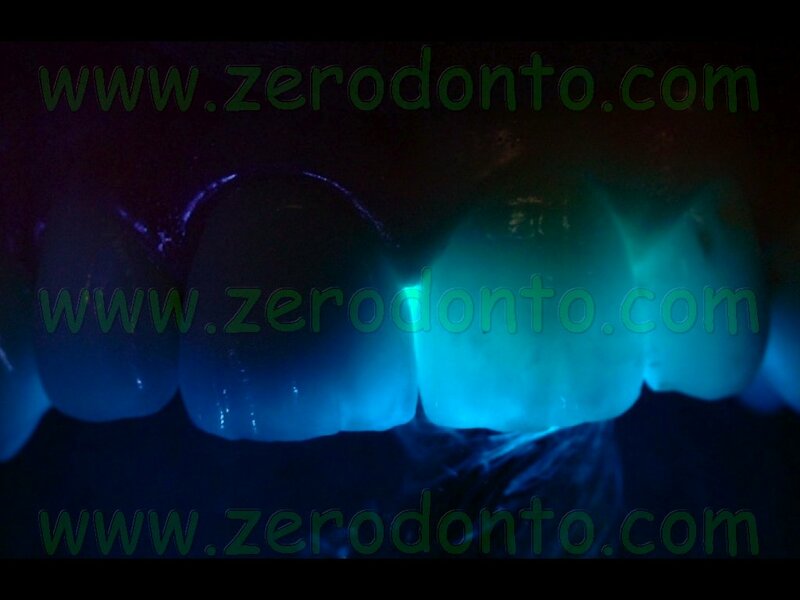 Once the metal-ceramic restorations have been placed on the dental stumps without using any adhesive, a good surface tissue condition and valid characterizations were noted but the soft tissues highlighted the transparency of light grey colour in the cervical areas due to the presence of the metal structures (fig.9,10). 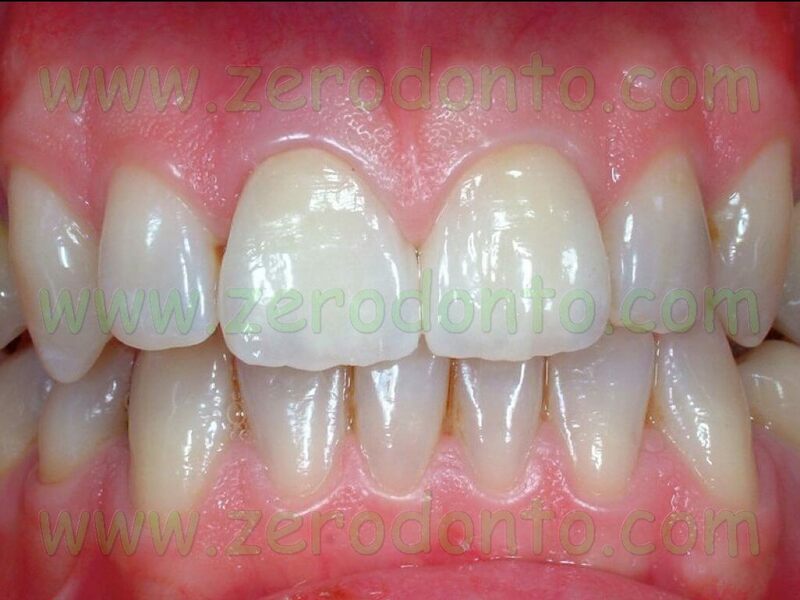 Without doubt, the thin gingival biotype of the patient compromised the aesthetic result of the restorations which were not considered aesthetically satisfactory. 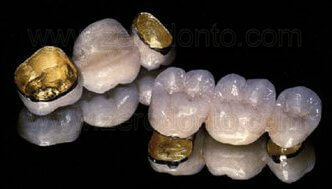 As with the golden ceramic restorations, the zirconia-based dental crowns showed an optimal marginal adaptation. and, later, inverting this arrangement with the remaining crowns (fig.13). 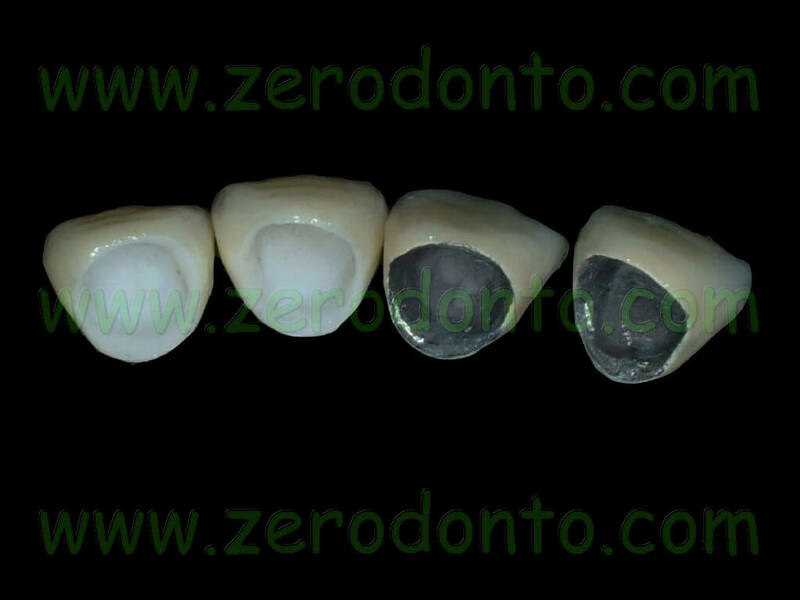 The integral ceramic restorations were glued with a resinous cement and adhesive technique with the addition of a rubberised sheet. 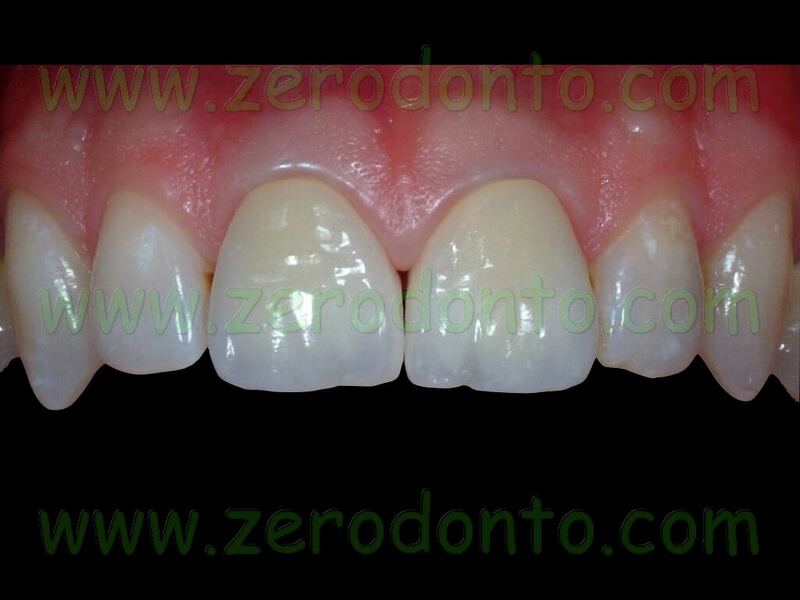 The removal of the cement excess was done by using Teflon curette to avoid surface damage to the ceramics. 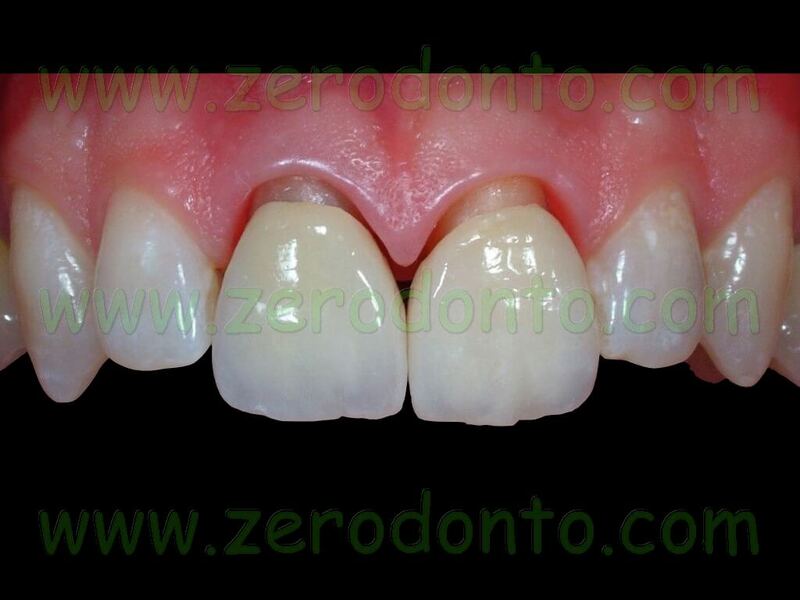 Lastly, the crowns were adjusted to perform a correct protrusive function and the occlusion of the patient was carefully checked. 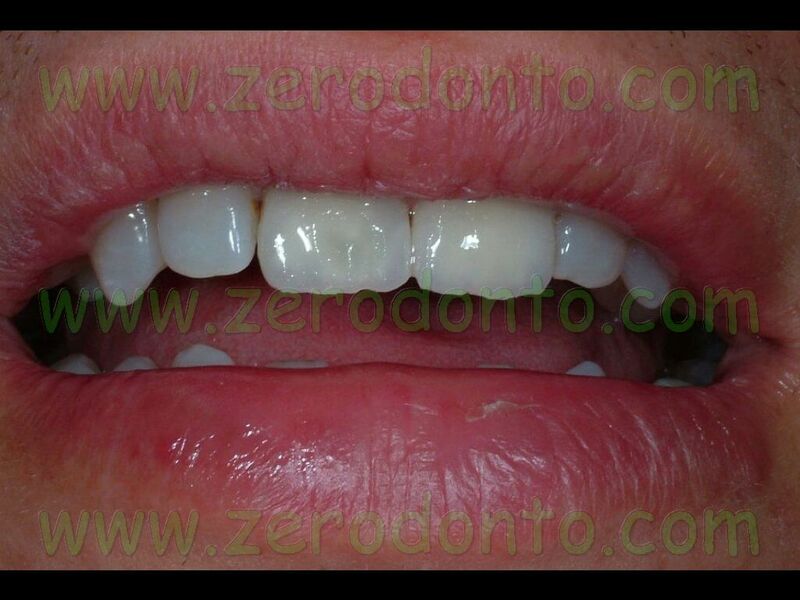 The blemish caused by the transparency of the metal structures in the cervical area was corrected to the full satisfaction of the patient. 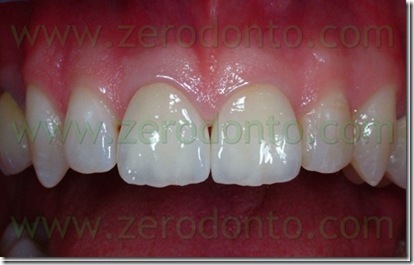 Before the cementation there still remained an interdental space without papilla (fig.14). However, the emergent profile of both the restorations appeared congruous (fig.15). 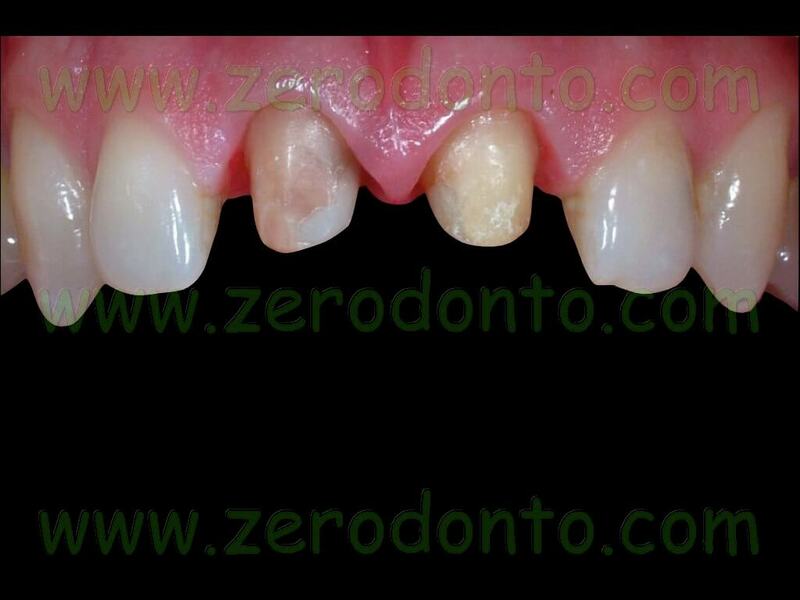 Fourteen days after the cementation, a full recovery of the condition of the periodontal surface in both crowns was observed and also the complete maturation of the interincisive papilla with the consequent filling of the interdental space (fig.16,17,18).